Mac Sabbath plays Underground Arts tonight. Broadway Philly does the Tony-winning musical based on the hit songwriter’s true story. You may feel the earth move under your feet. I’m torn. On one hand, I’m not the biggest fan of musical subversions (i.e. Pizza Underground, Okilly Dokilly). On the other, Black Sabbath rules. So, fine. 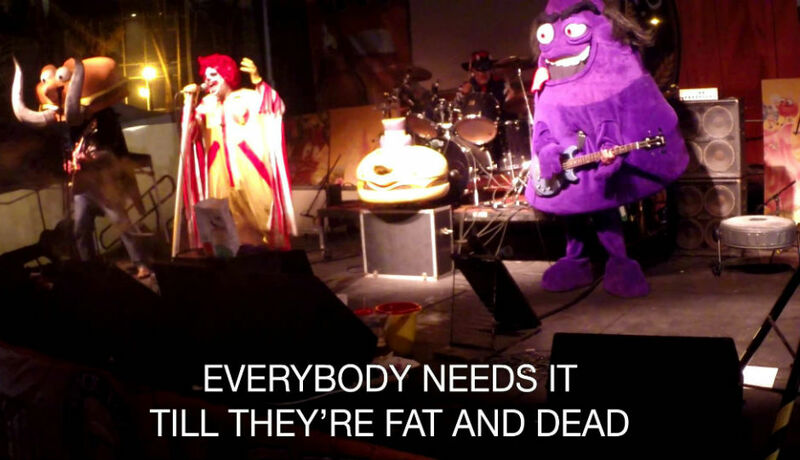 I’ll put up with this McDonald’s-themed Sabbath tribute act that does “Frying Pan” to the tune of “Iron Man” and “Sweet Beef” instead of “Sweet Leaf.” But perhaps we should think of it as a weird cabaret act, not a straight-up for-real band. I can categorize how I want! I have no boss I don’t think. Wharton Dance Studio’s spring show. Andrew Lloyd Webber’s musical about Jesus’ last days. ’Tis the season. Gabrielle Revlock and Aleksandr Frolov performing an intimate, emotional “dance of a relationship.” Check out the video below. A conversation between artist Candy Chang and poet CAConrad on the topic of “Art and Ritual.” Chang’s “The Atlas of Tomorrow” mural will be installed this spring near Broad and South. Presented by the Mural Arts Project, obviously. A “one-night audio/visual performance” by visual artist Maria Dumlao and sound collage artist Eugene Lew. The sights and the sounds will be warped live before your spiraling eyes. Could be trippy and cool. Show No Show (promo) from Zonk’a on Vimeo. Books, comedy and movies stuff tomorrow. Want me to know about your events? Email me at ticket ~at~ phillymag dot come, or invite me on FB. Be good.